Observation - CLOSE UP OF FEATHERED THORN MOTH - UK and Ireland. 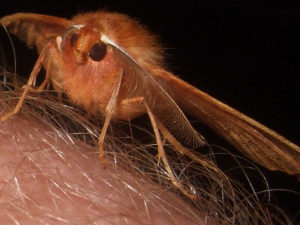 Description: THIS FEATHERED THORN MOTH LANDED ON MY ARM TONIGHT WHEN MY CAMERA WAS HANDY.I THINK ITS EYES ARE BIG IN PROPORTION TO ITS SIZE,DOES ANYBODY KNOW ANYTHING ABOUT MOTHS EYESIGHT (SERIOUSLY)CAN THEY SEE LIKE CATS IN THE DARK? THIS FEATHERED THORN MOTH LANDED ON MY ARM TONIGHT WHEN MY CAMERA WAS HANDY.I THINK ITS EYES ARE BIG IN PROPORTION TO ITS SIZE,DOES ANYBODY KNOW ANYTHING ABOUT MOTHS EYESIGHT (SERIOUSLY)CAN THEY SEE LIKE CATS IN THE DARK?